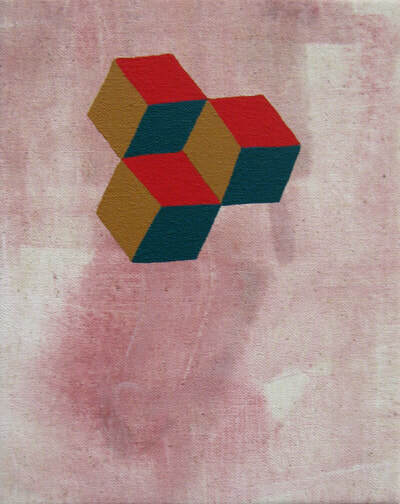 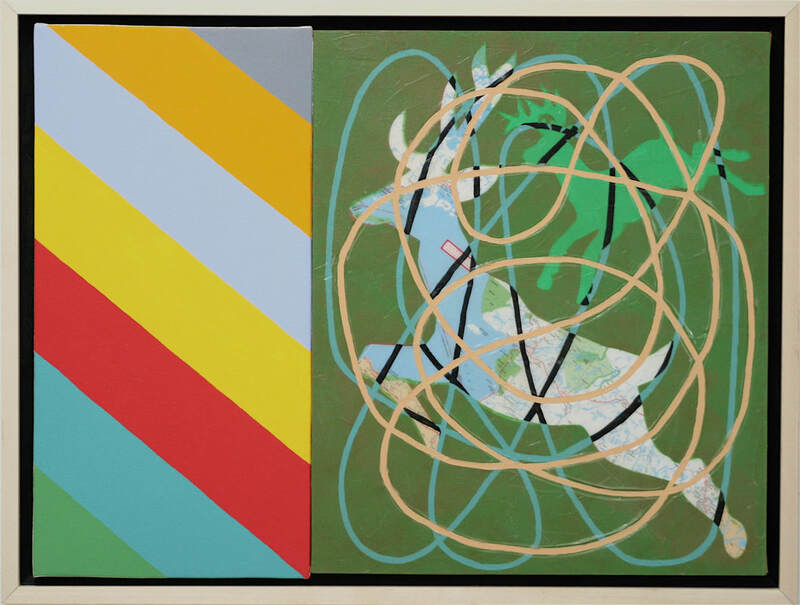 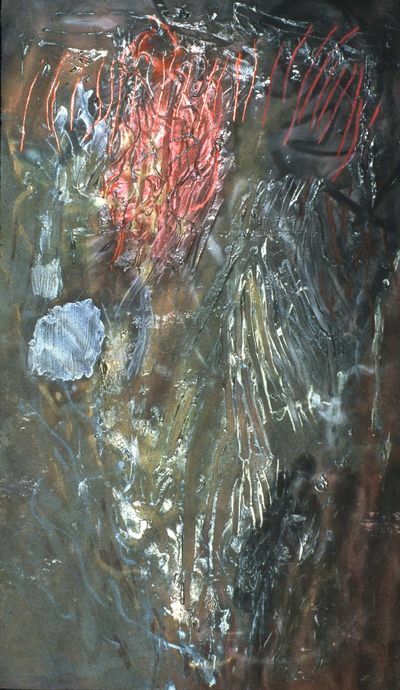 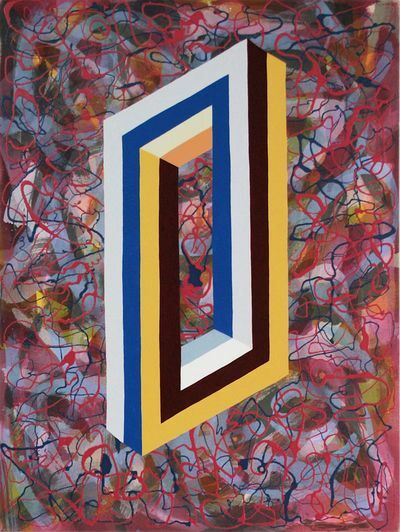 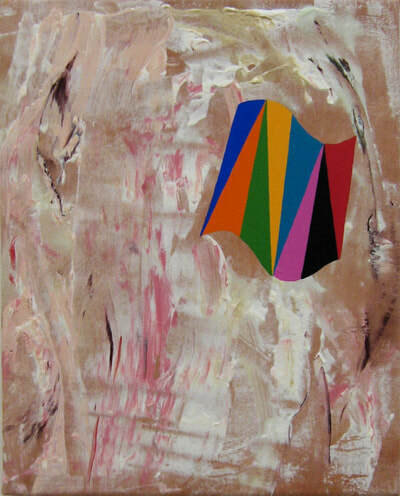 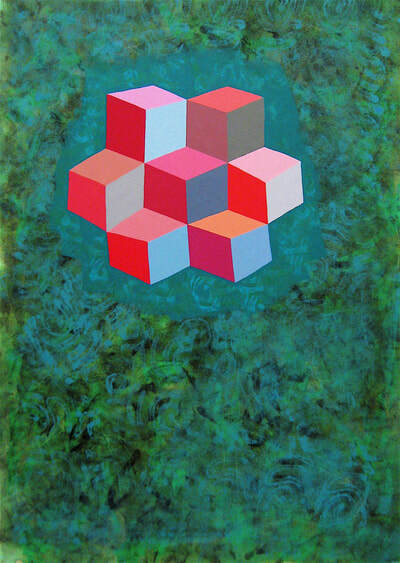 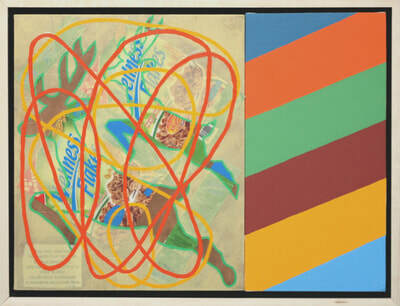 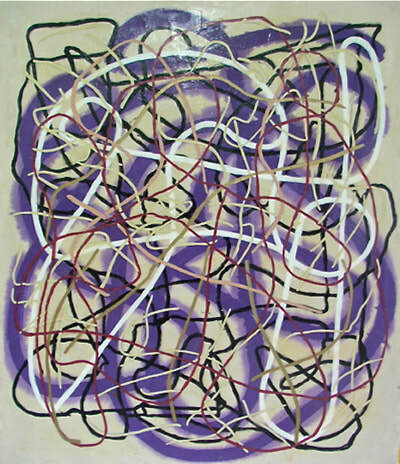 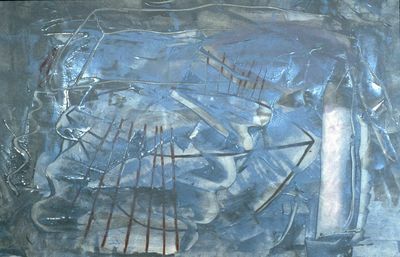 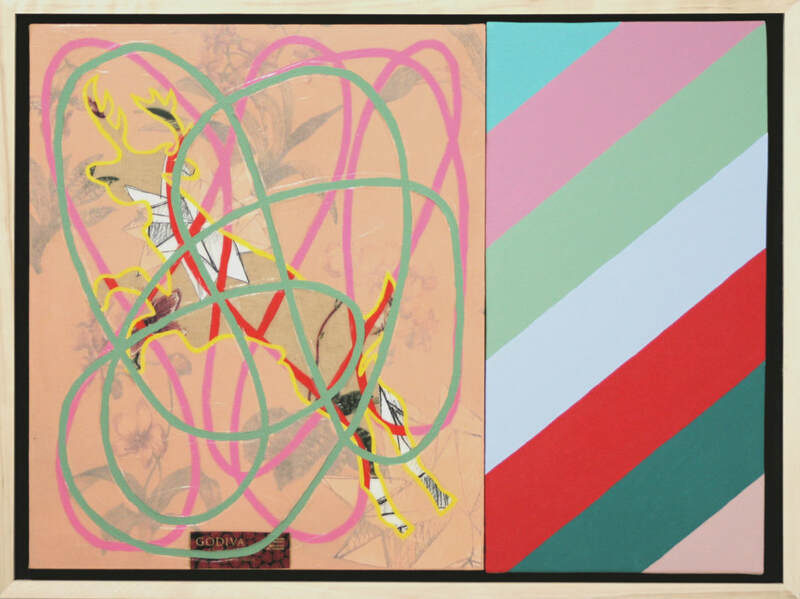 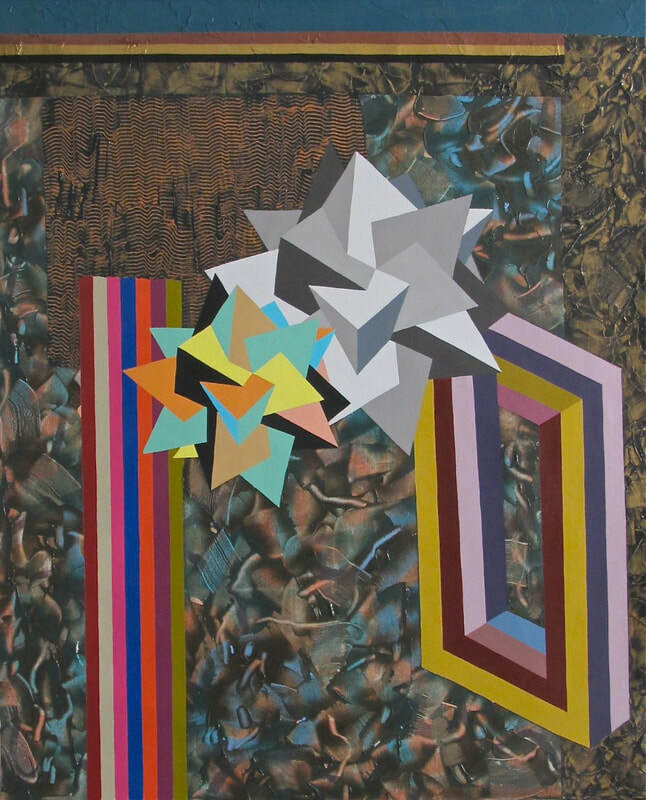 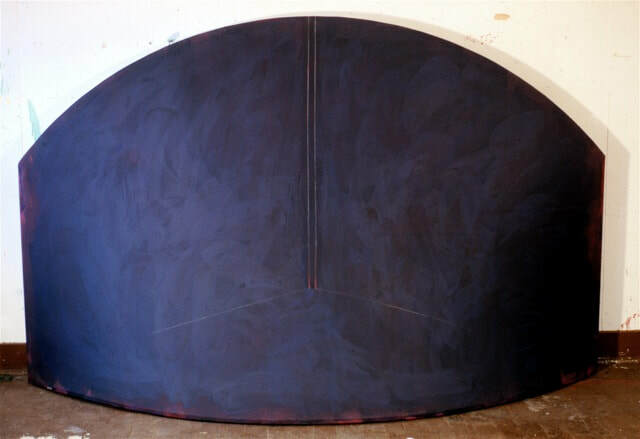 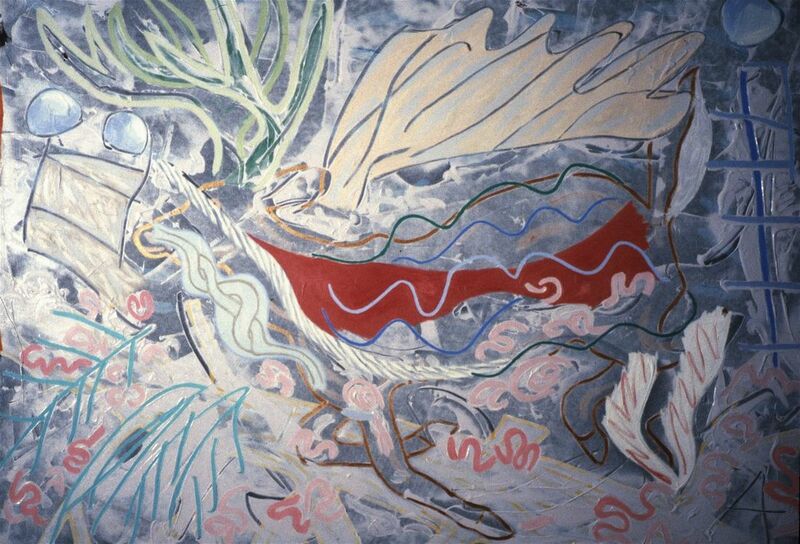 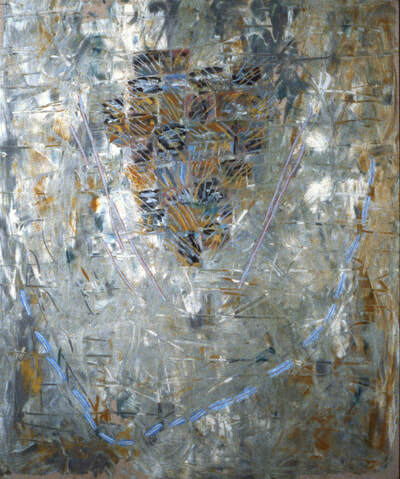 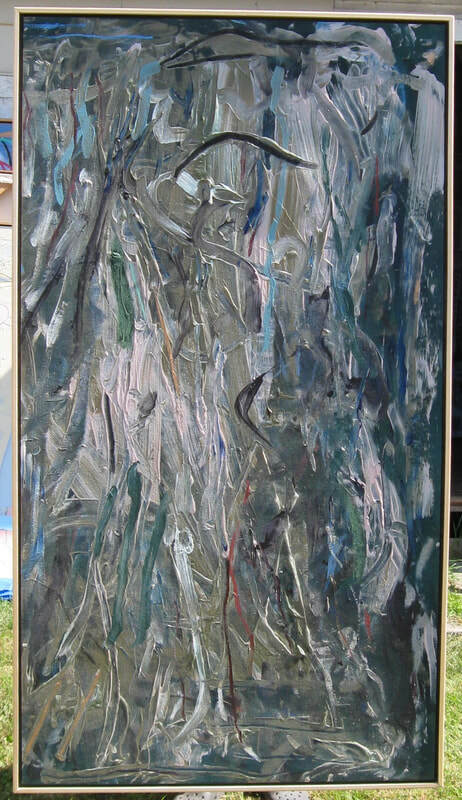 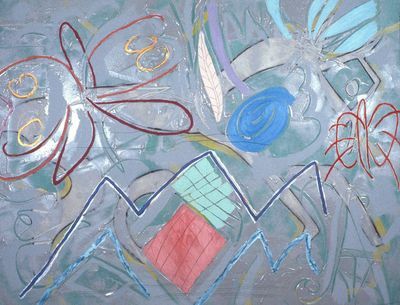 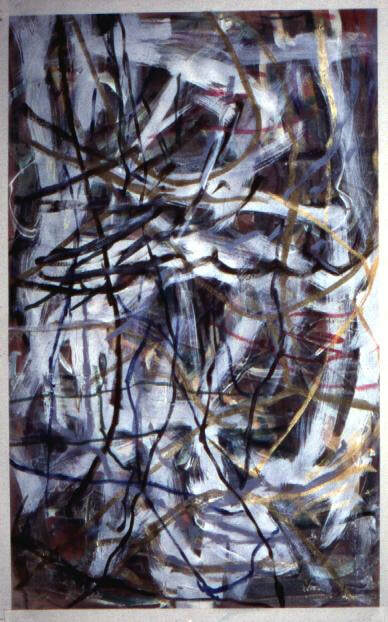 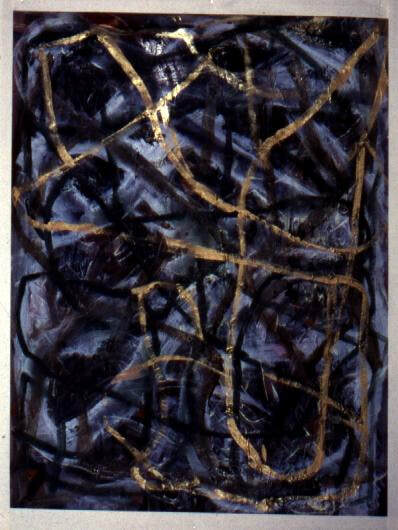 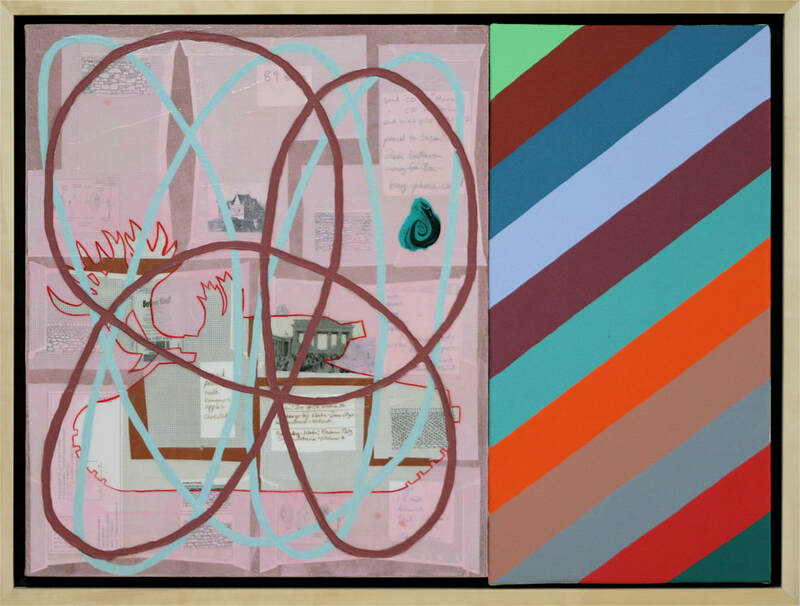 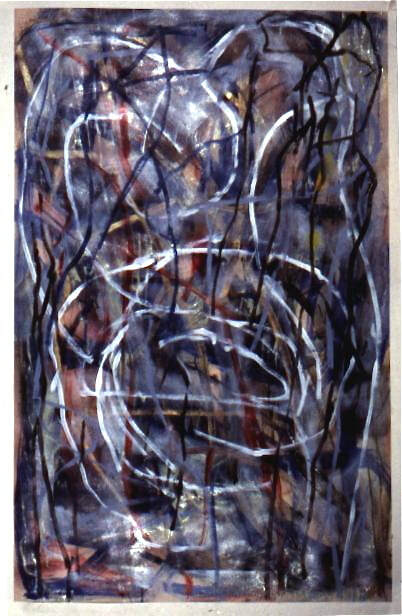 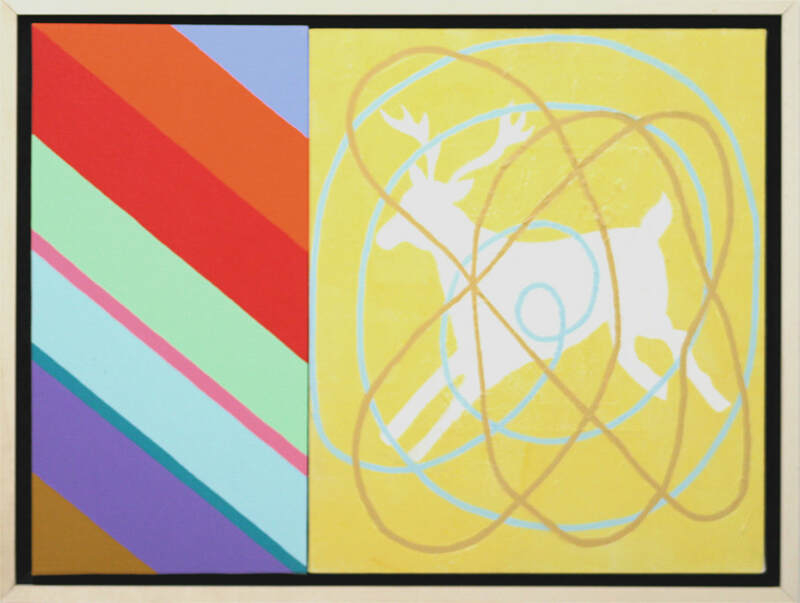 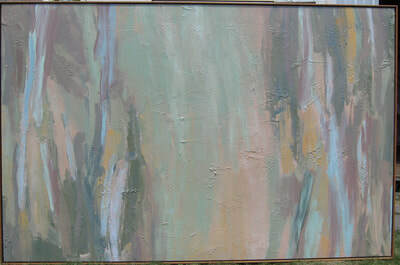 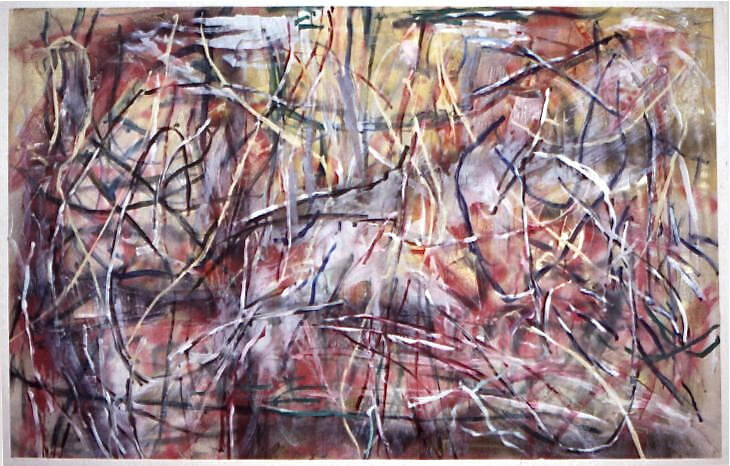 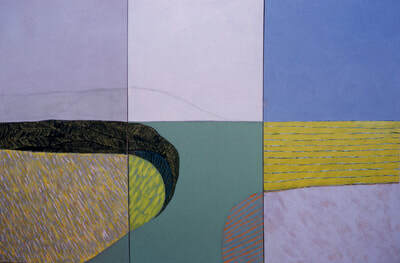 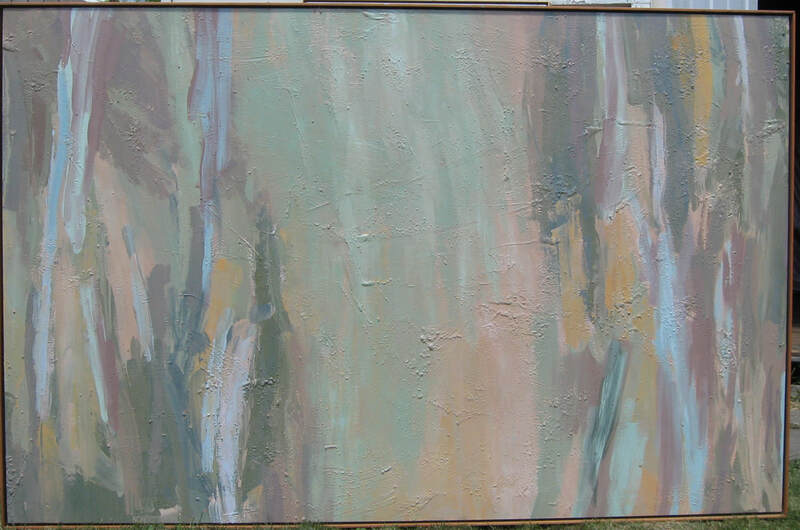 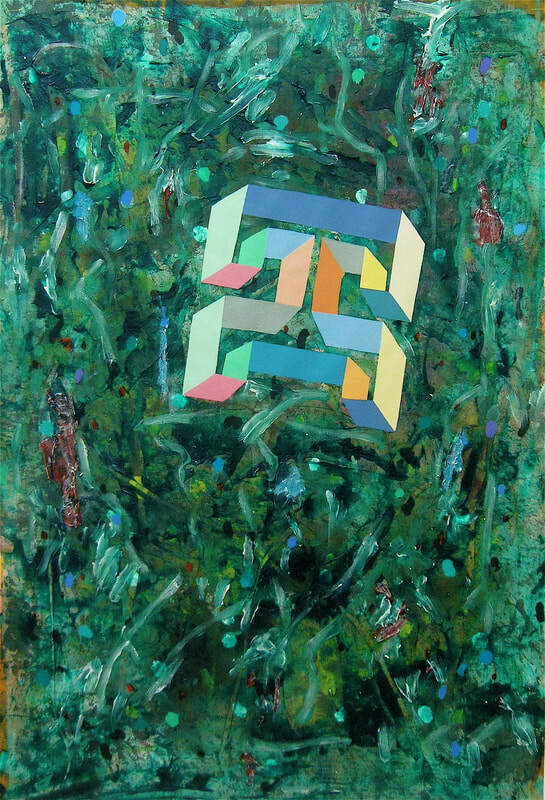 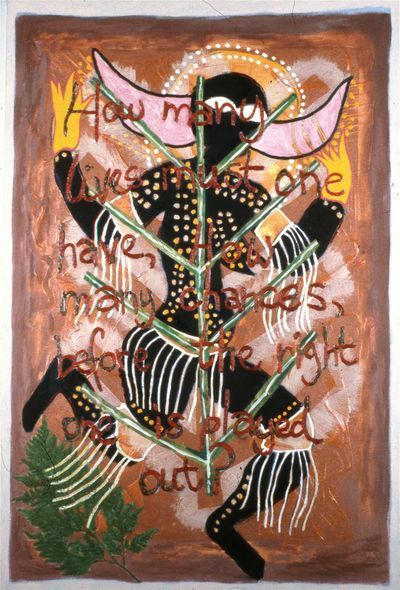 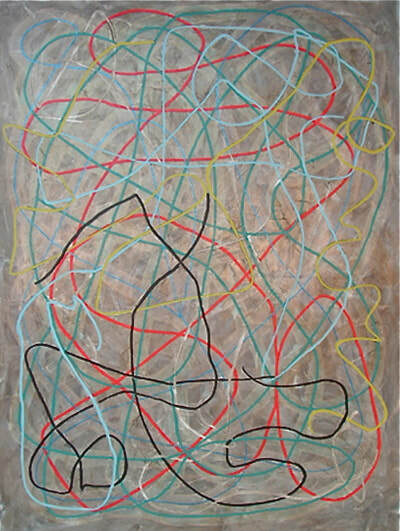 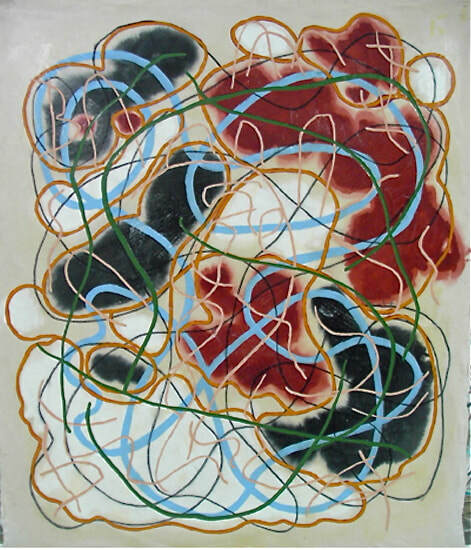 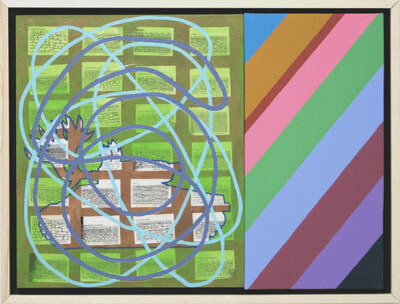 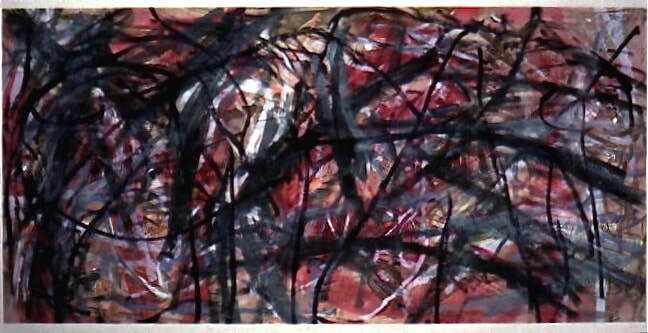 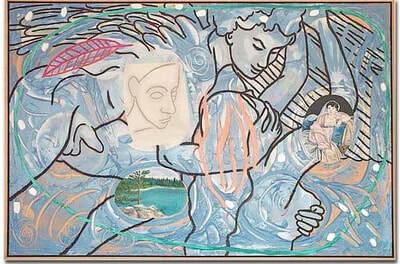 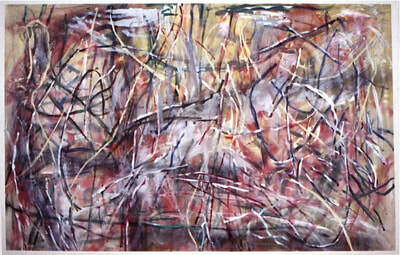 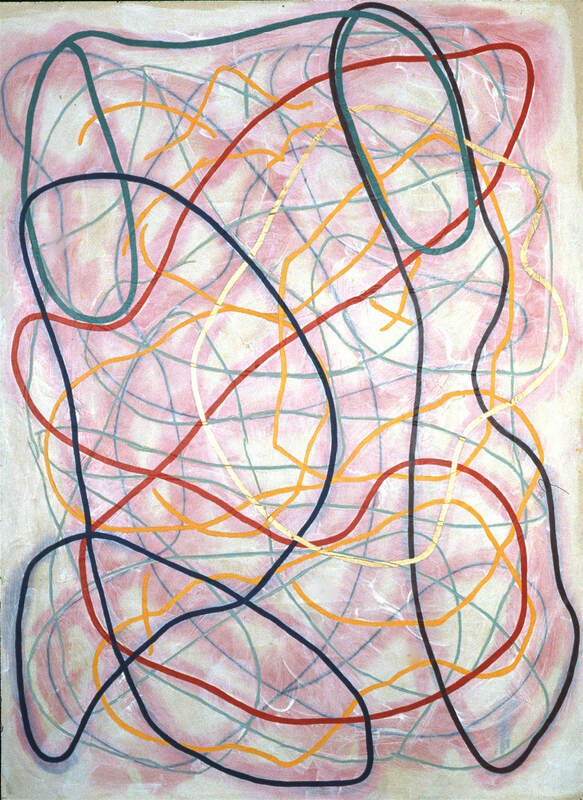 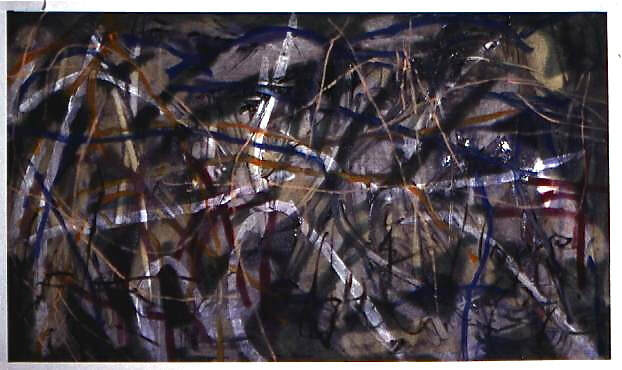 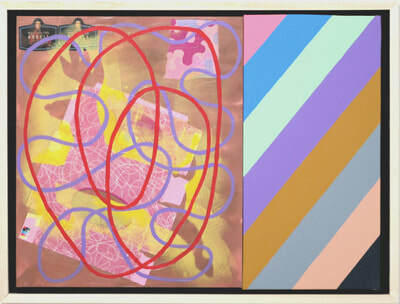 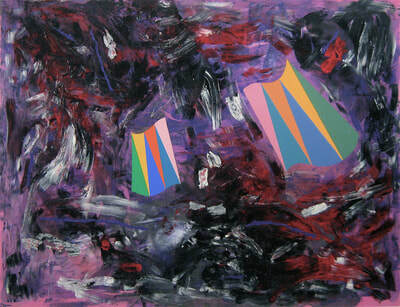 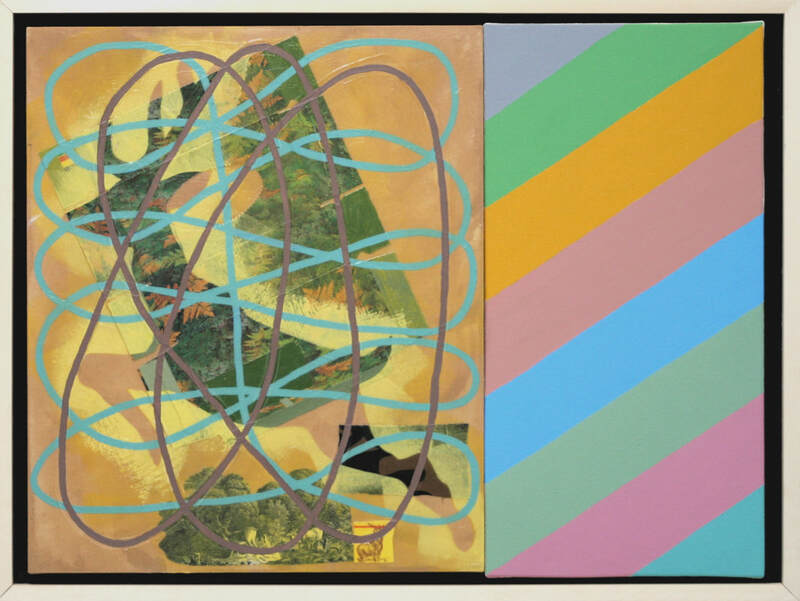 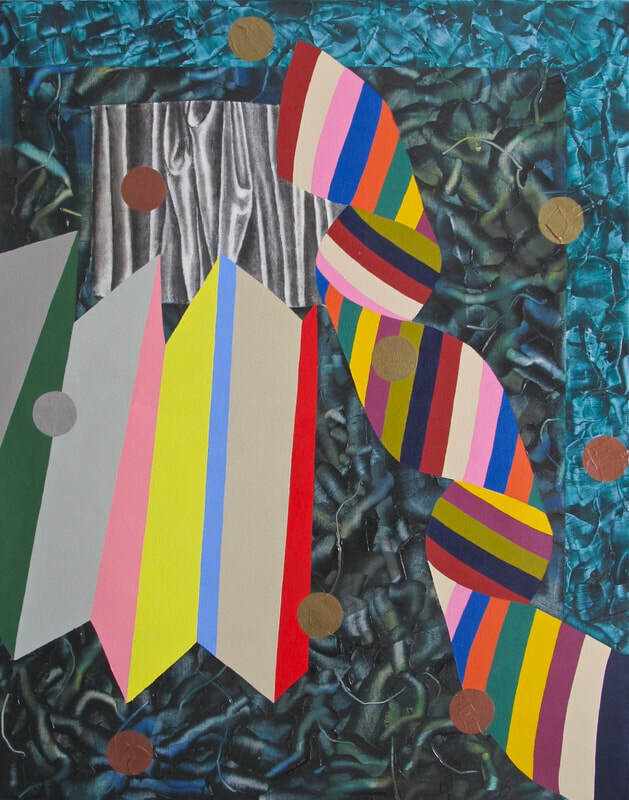 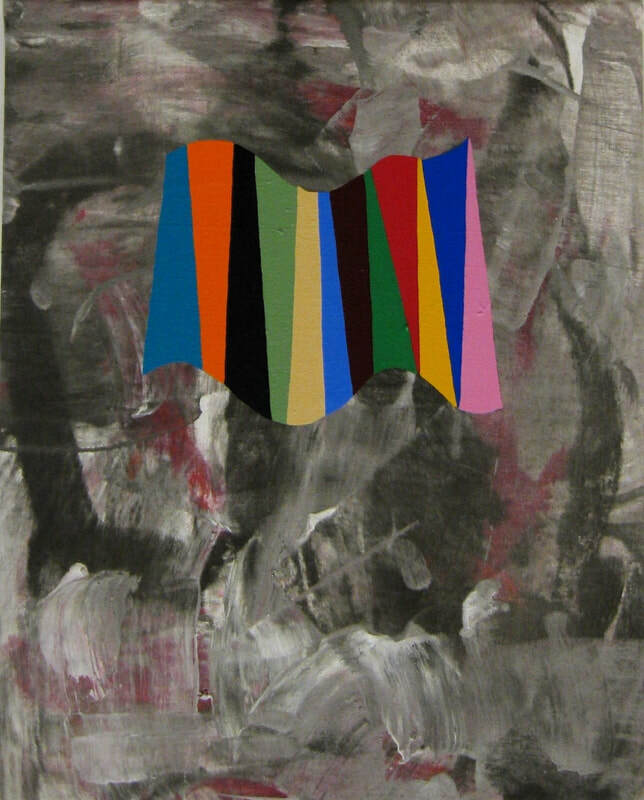 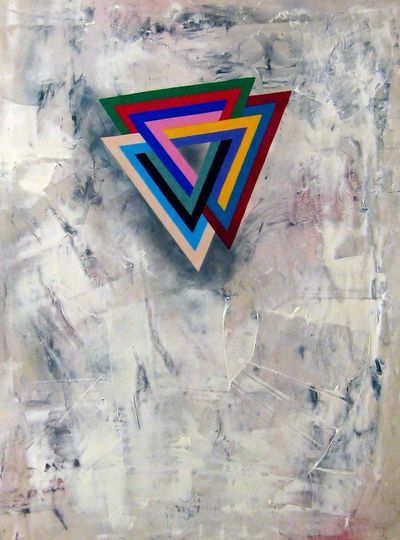 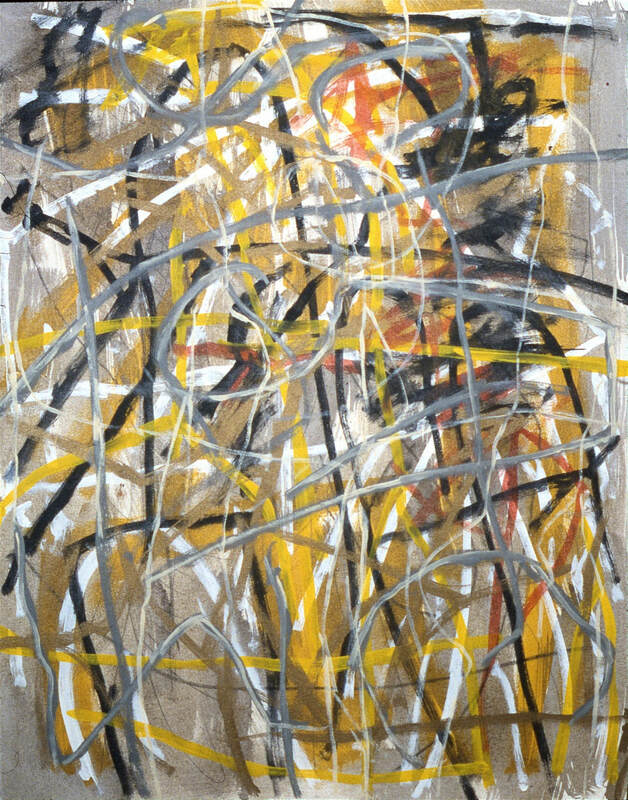 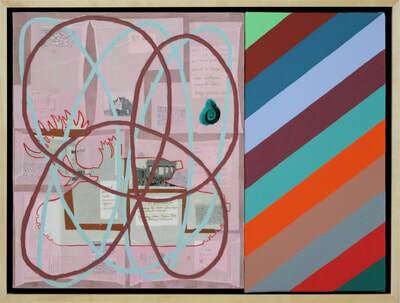 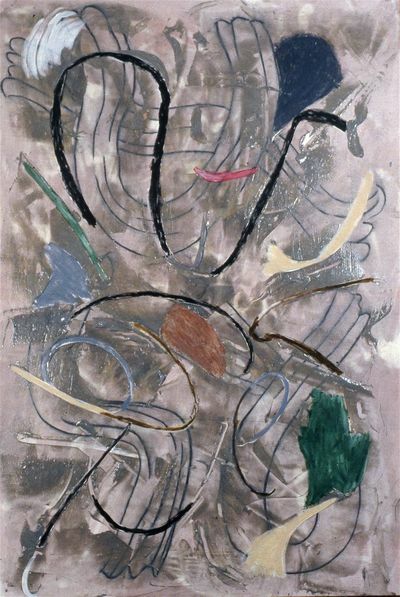 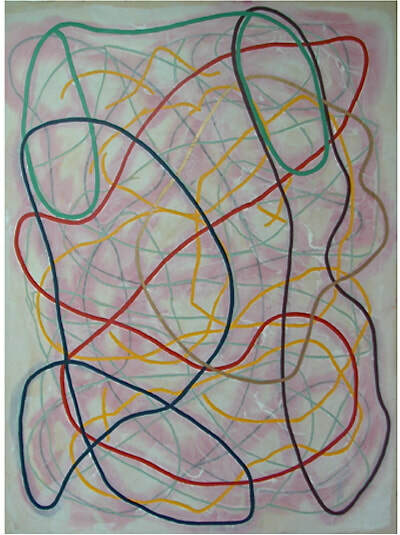 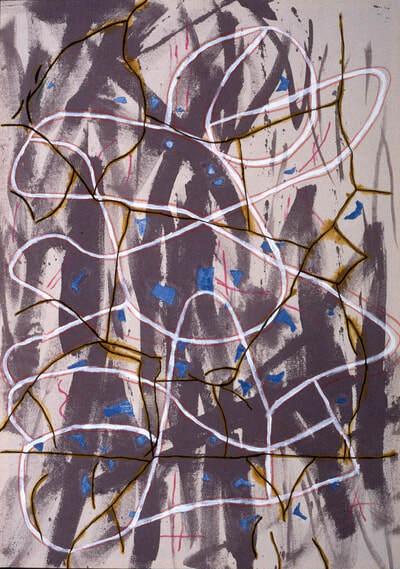 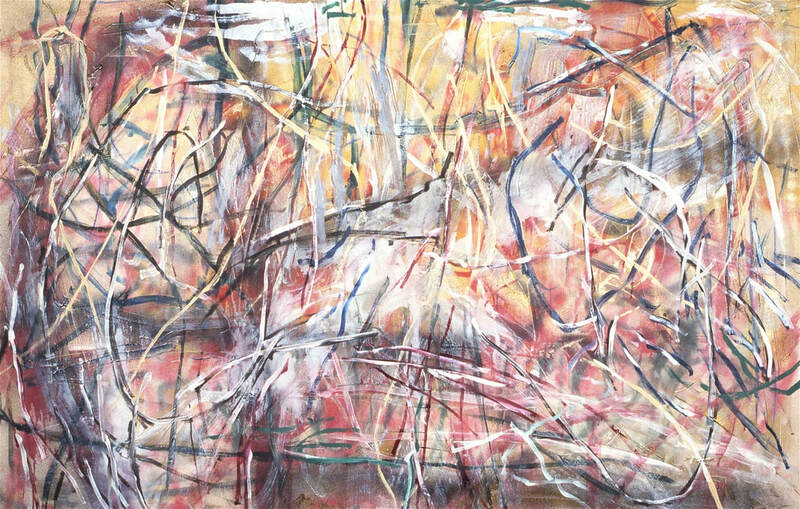 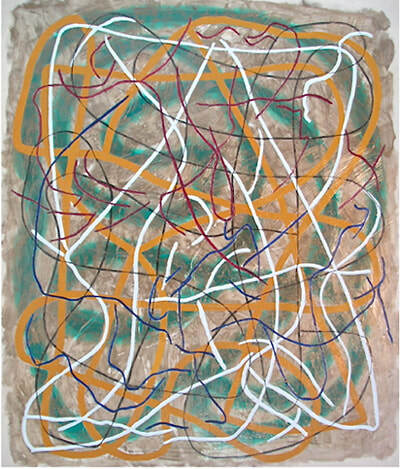 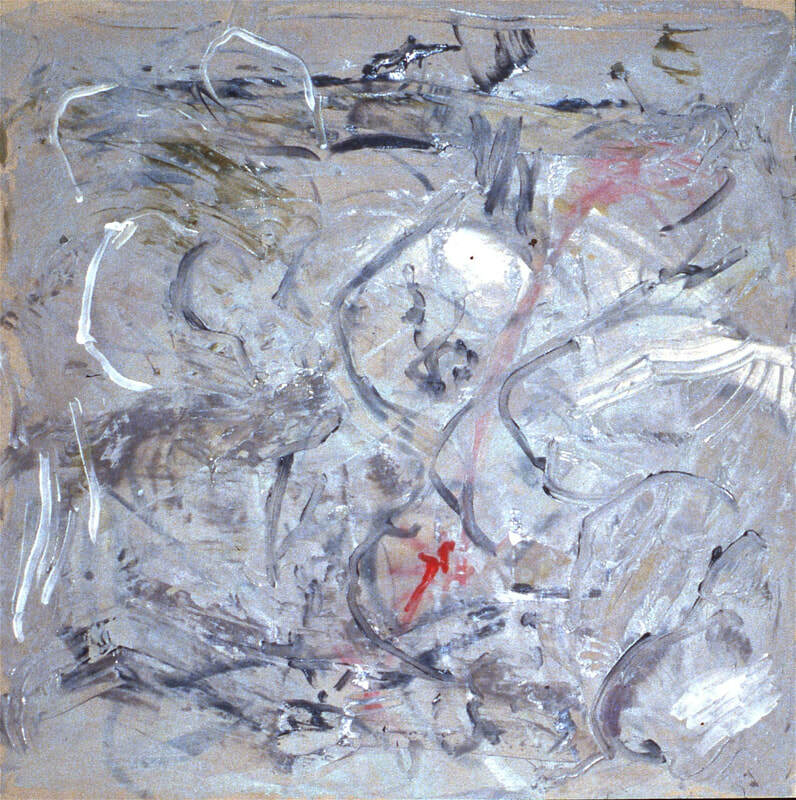 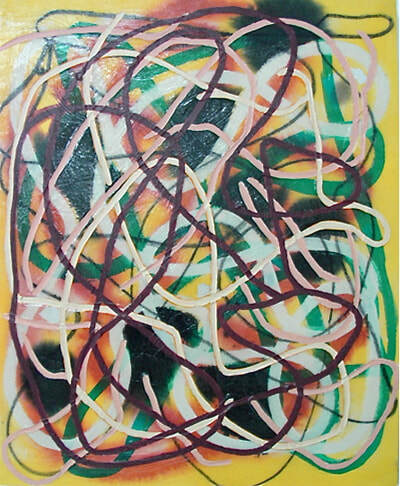 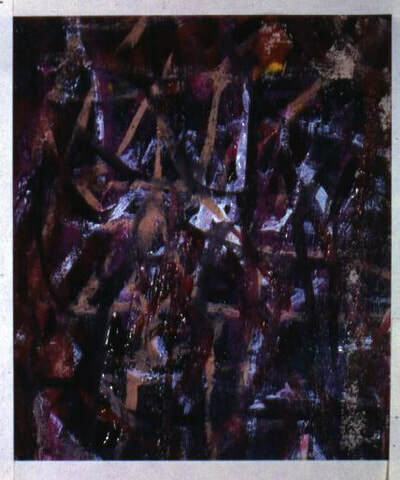 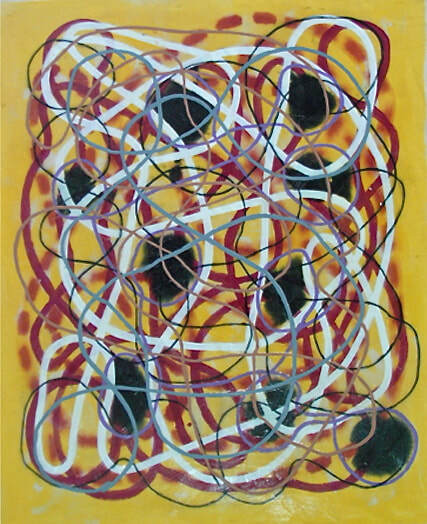 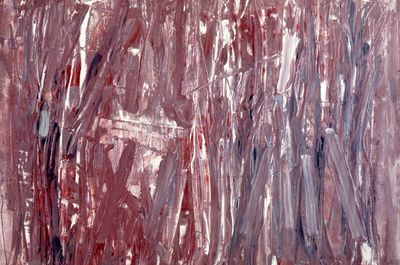 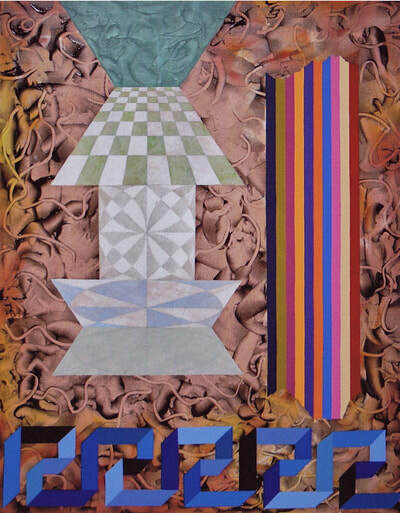 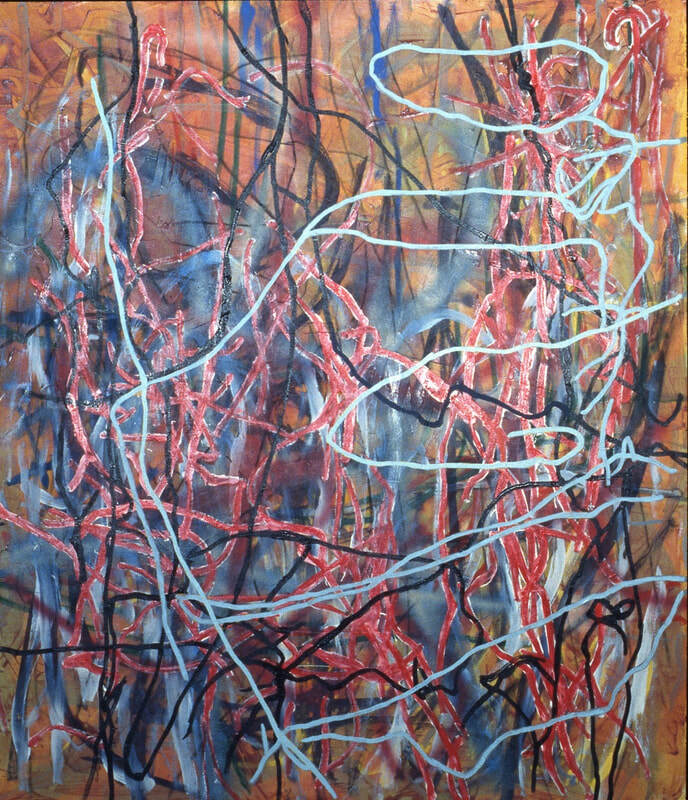 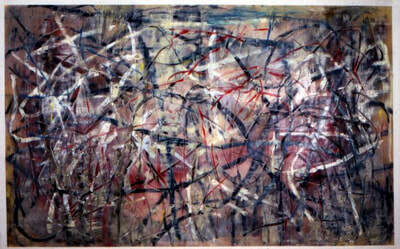 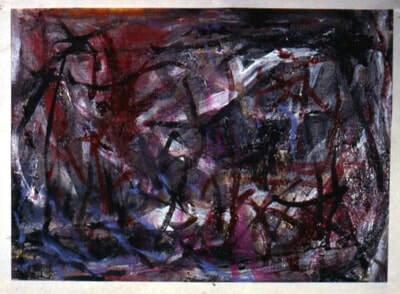 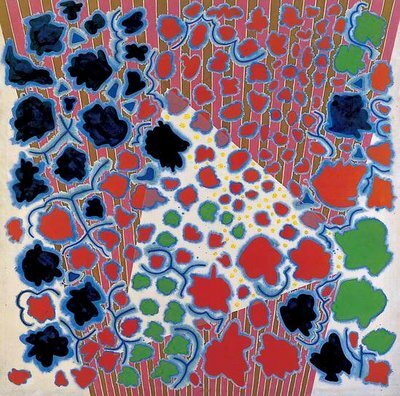 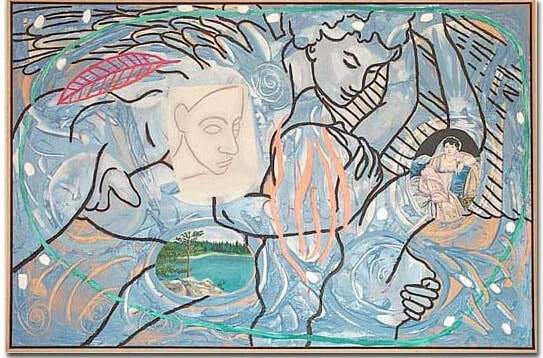 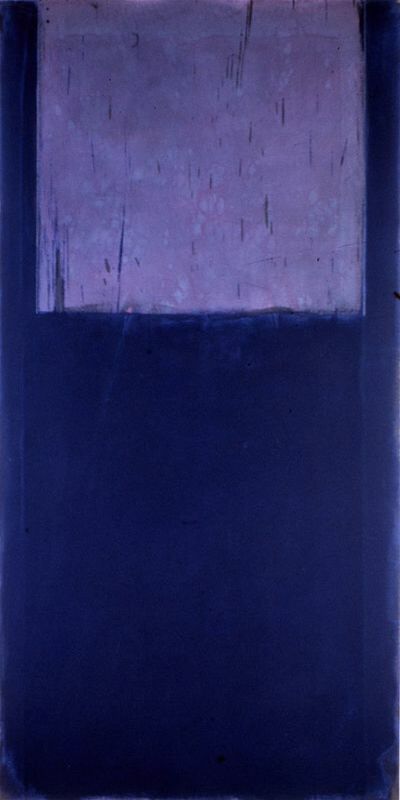 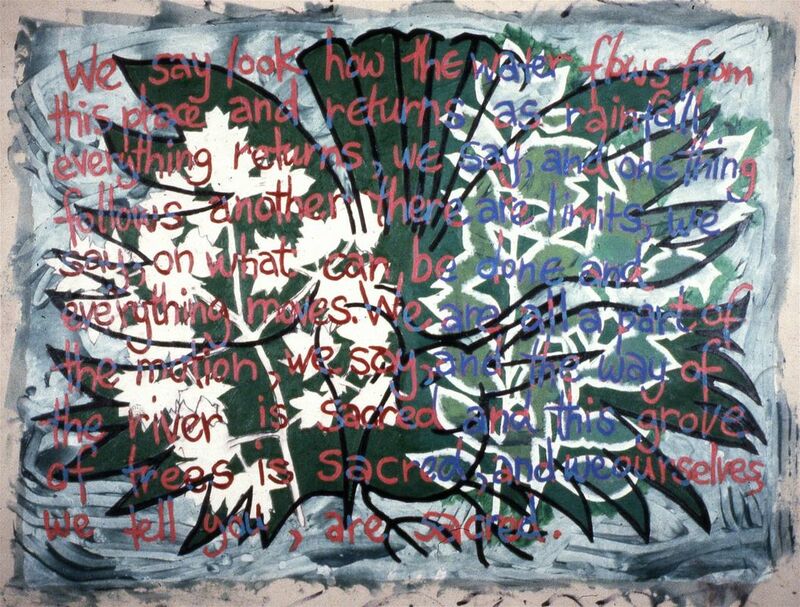 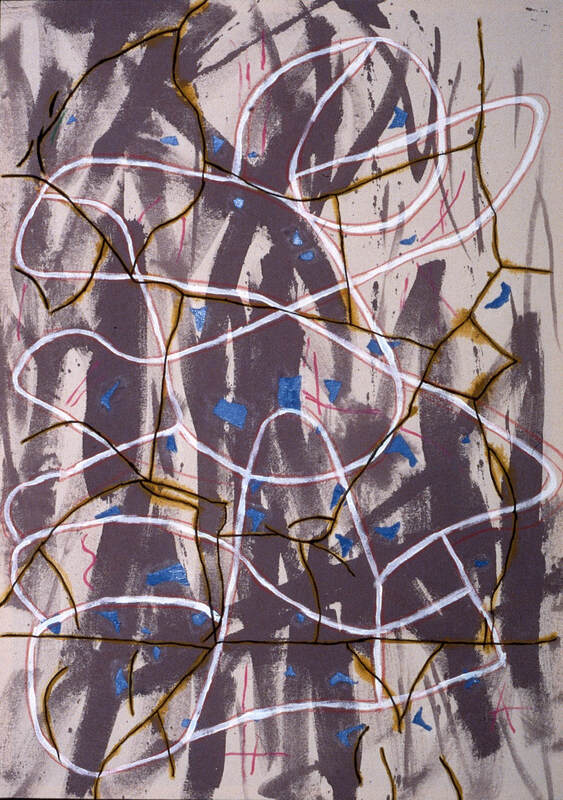 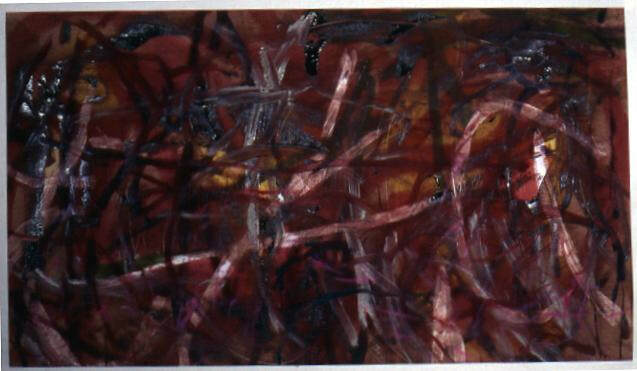 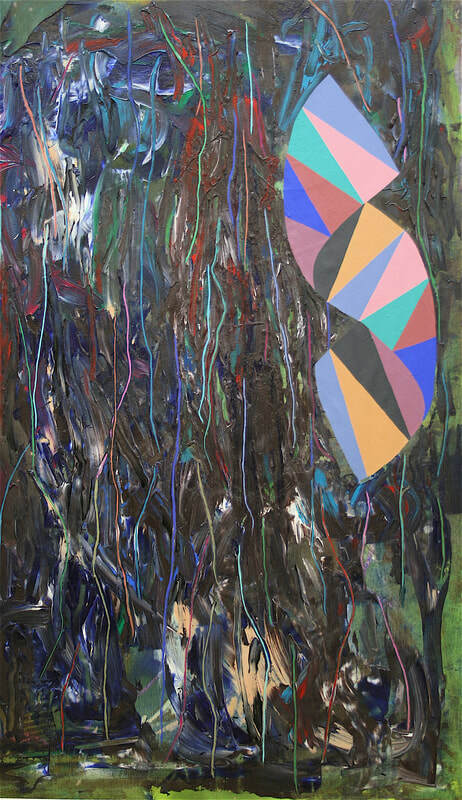 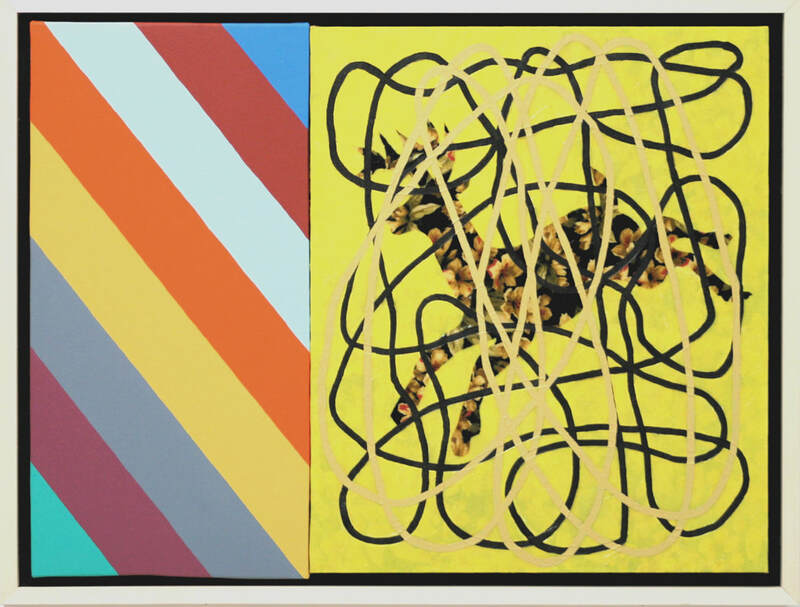 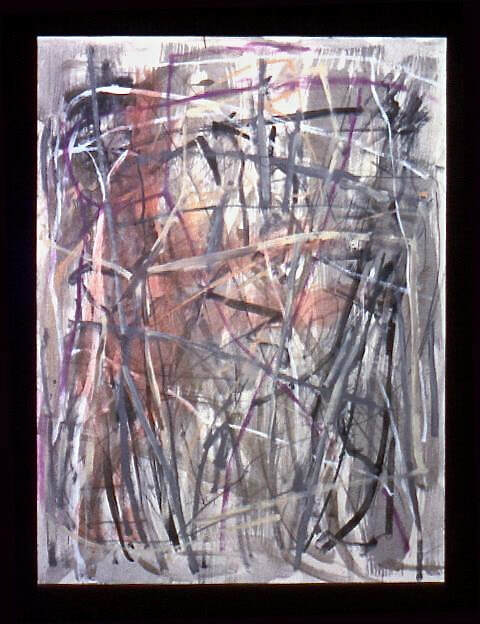 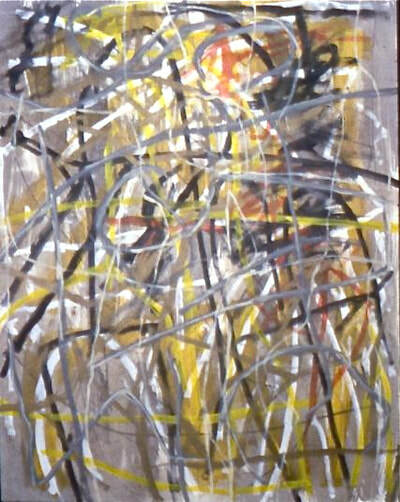 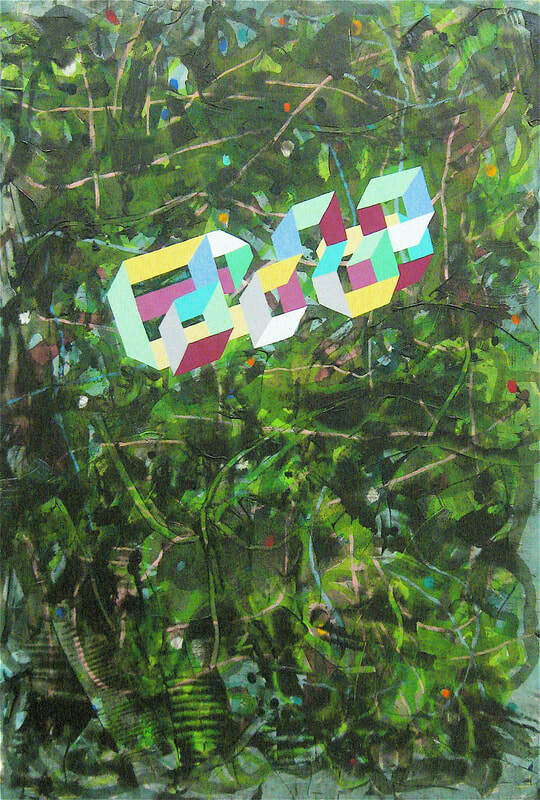 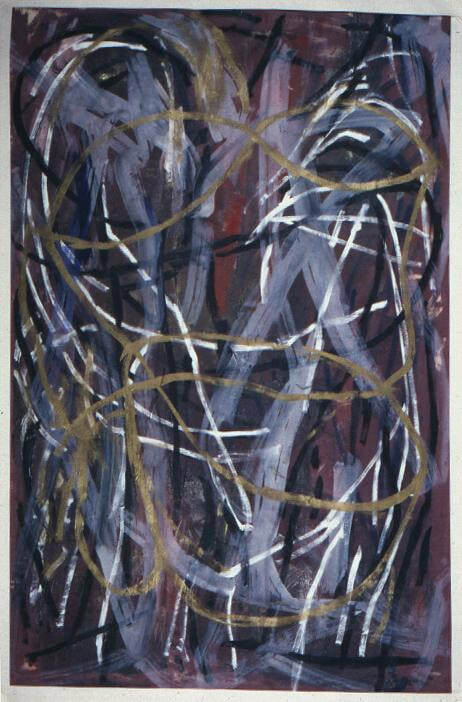 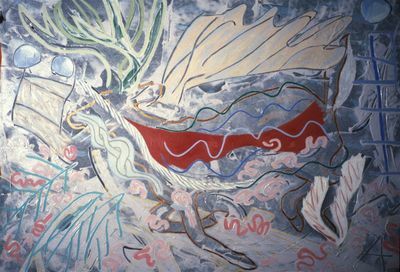 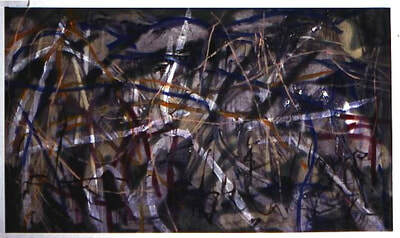 Marjoram, 1974, 64”x 98 ½” (in Canadian Canvas exhibition). Cracked Rock 2005, 45 ½” x 31 ½”. 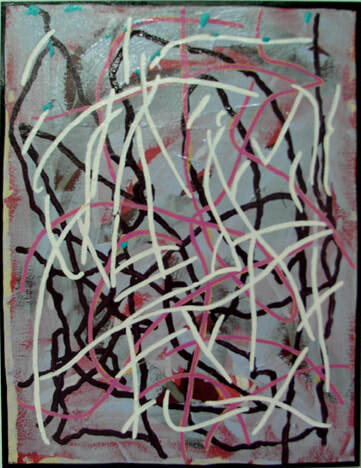 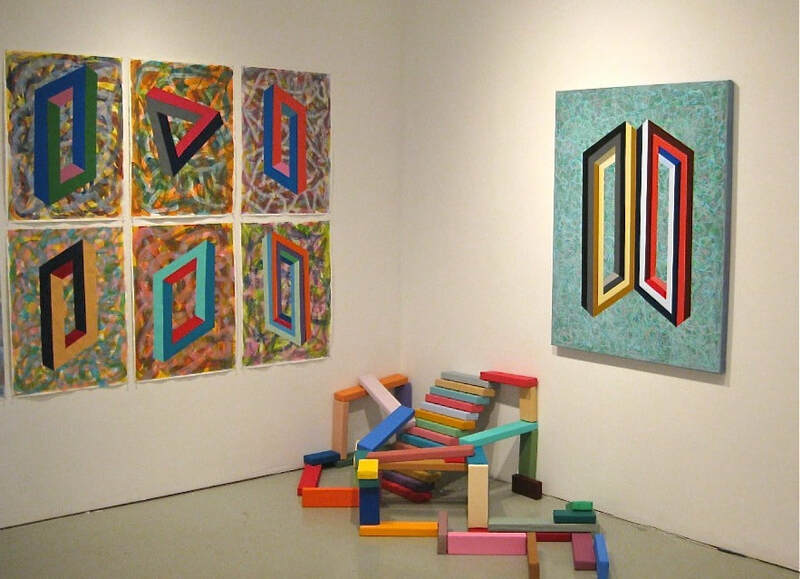 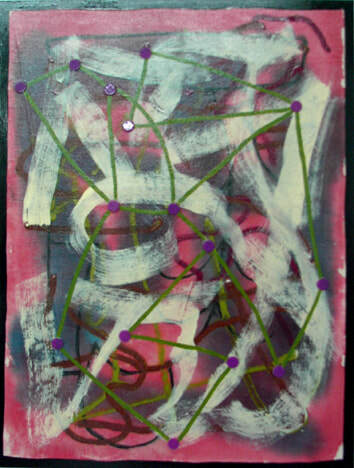 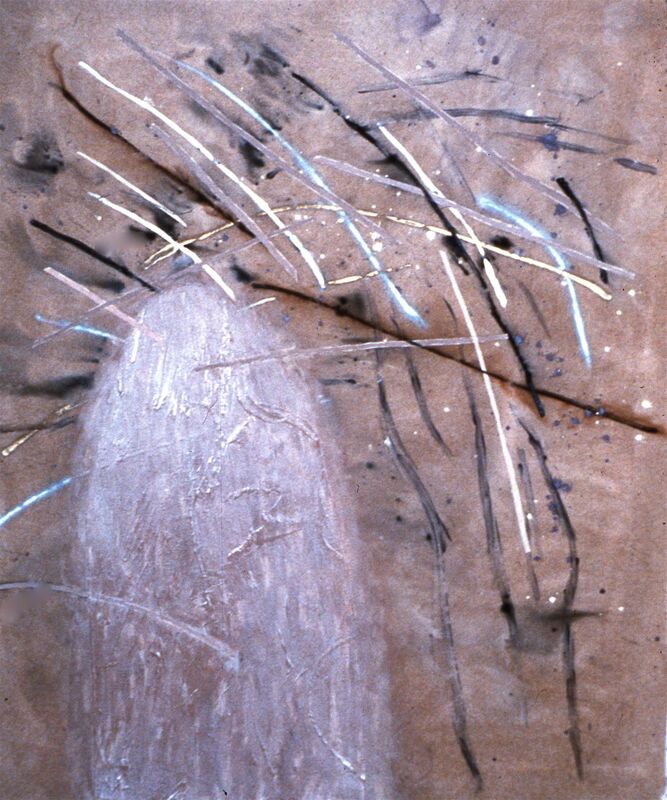 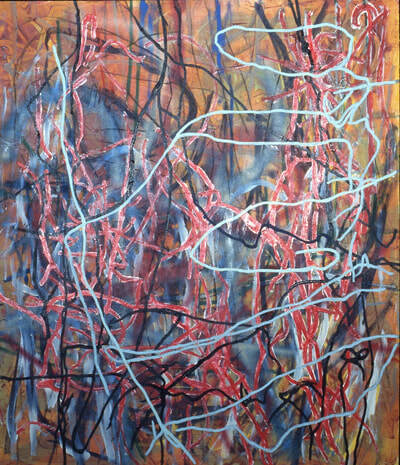 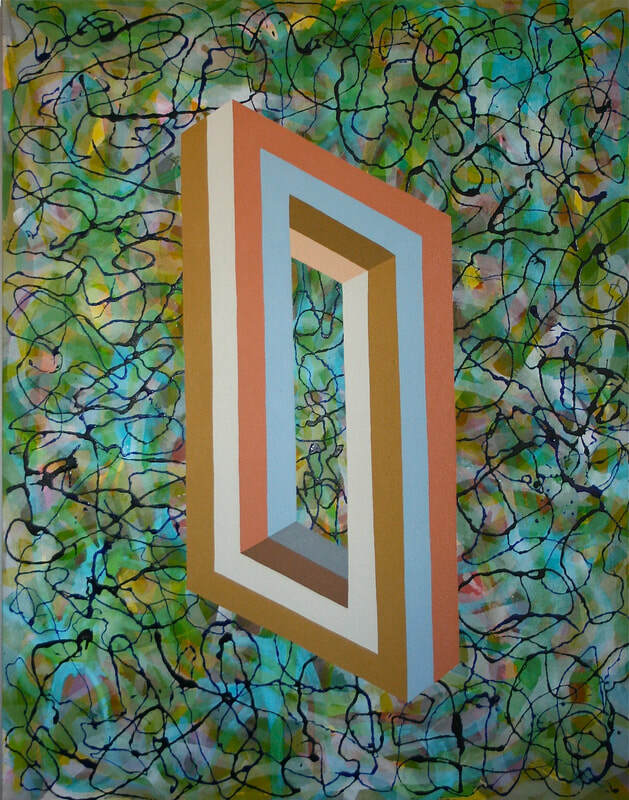 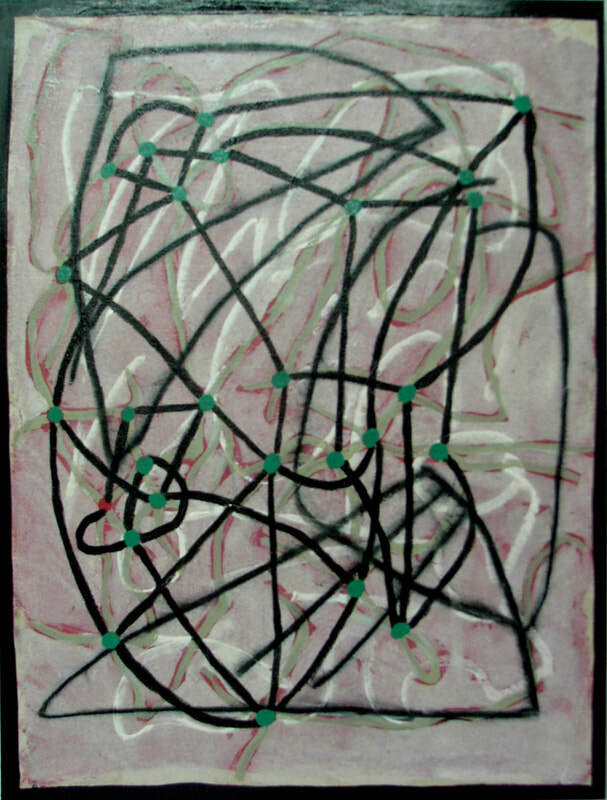 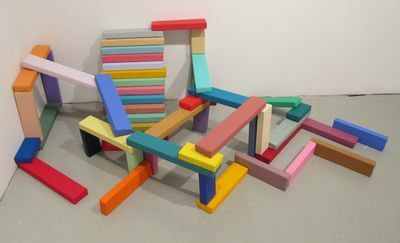 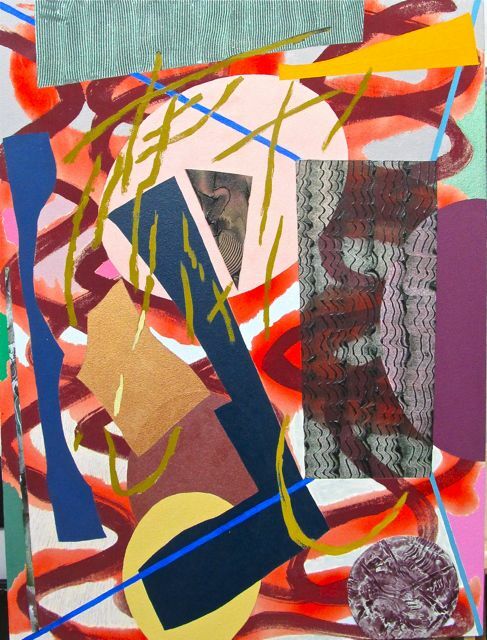 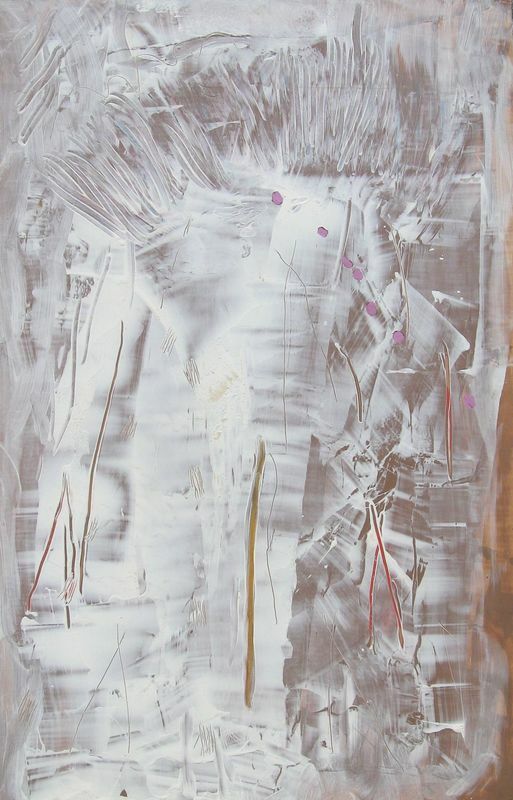 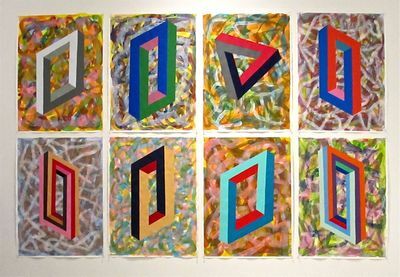 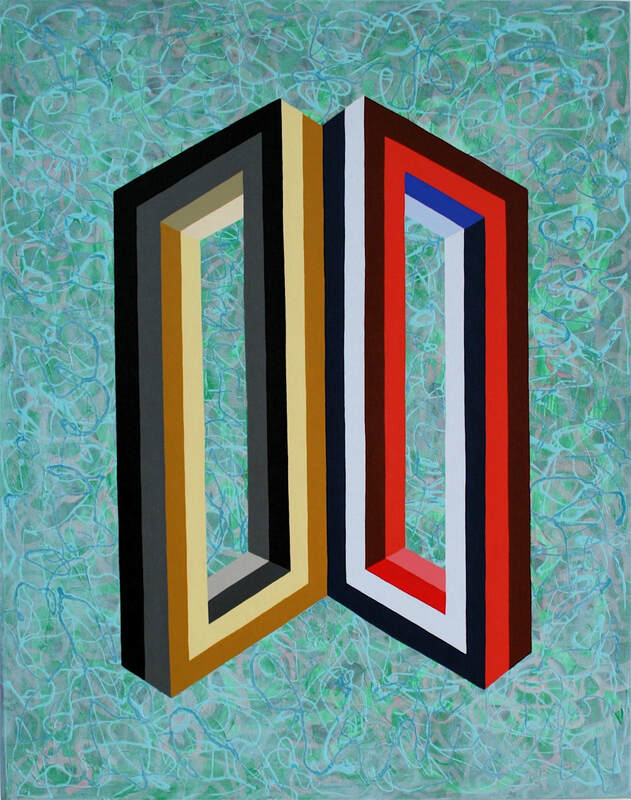 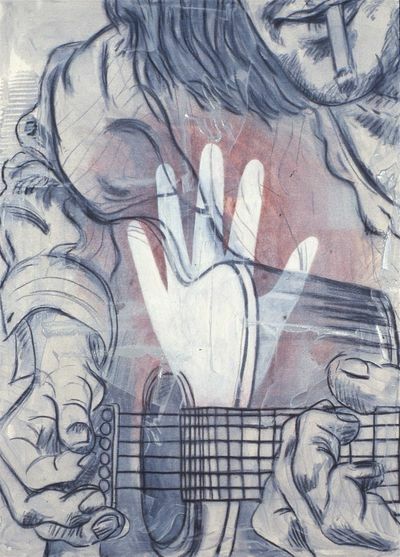 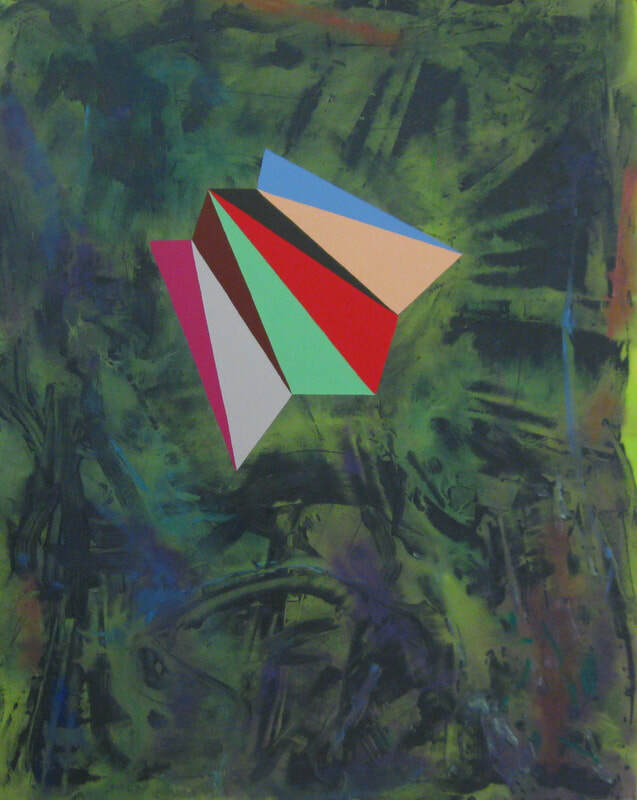 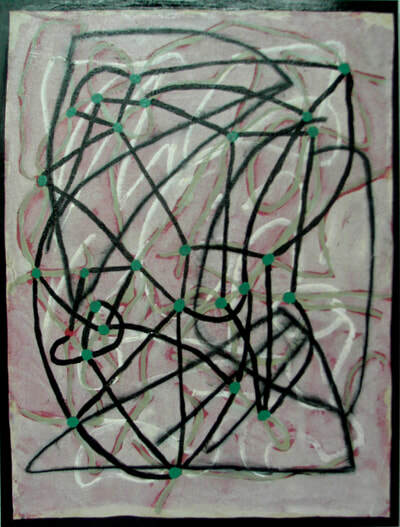 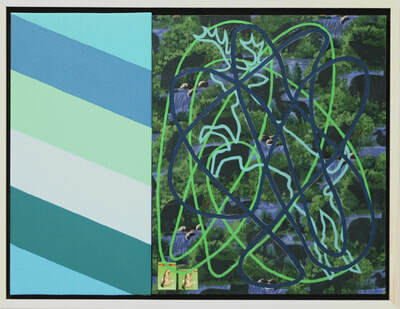 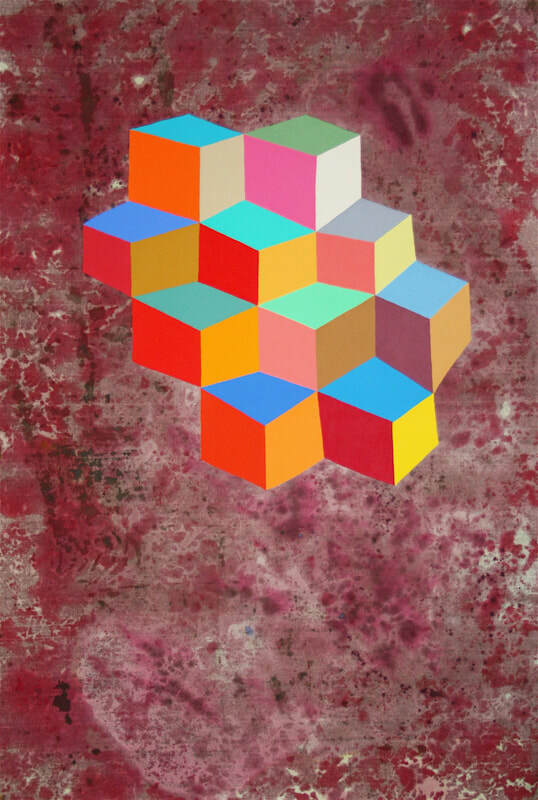 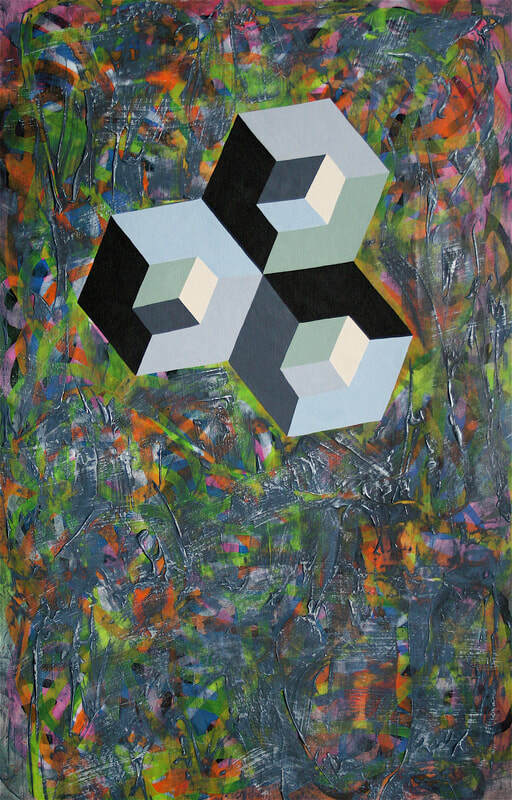 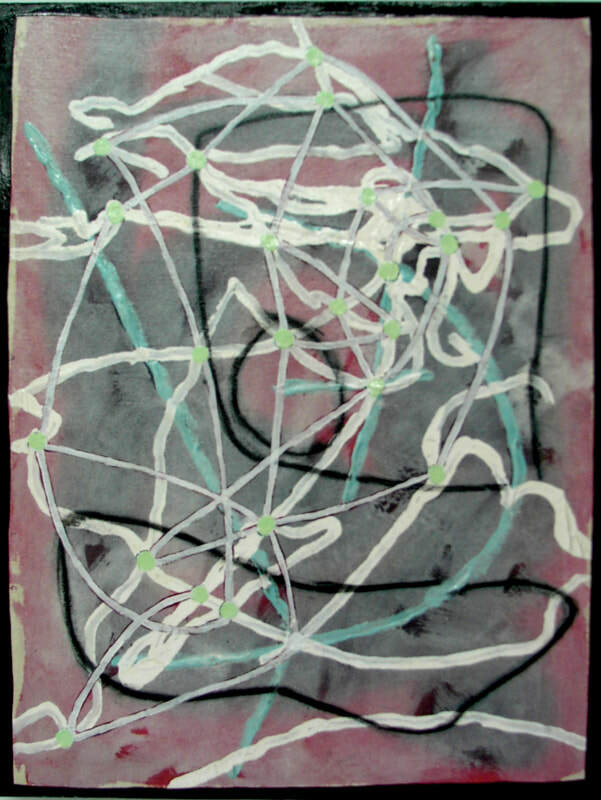 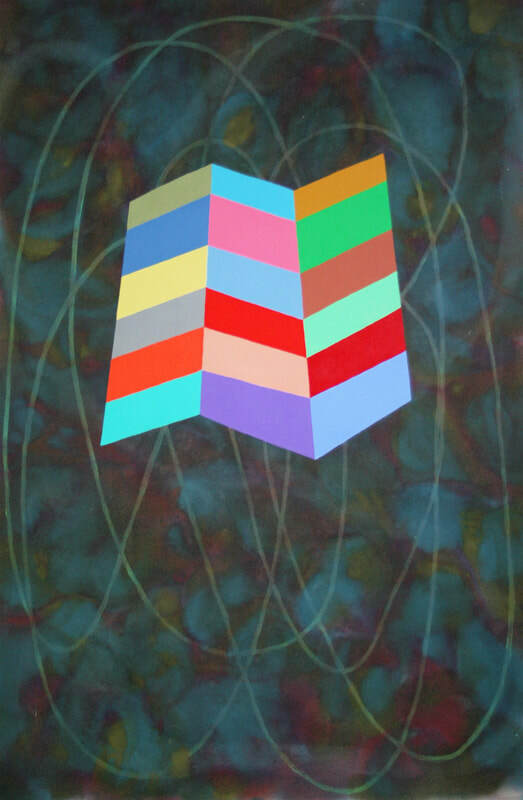 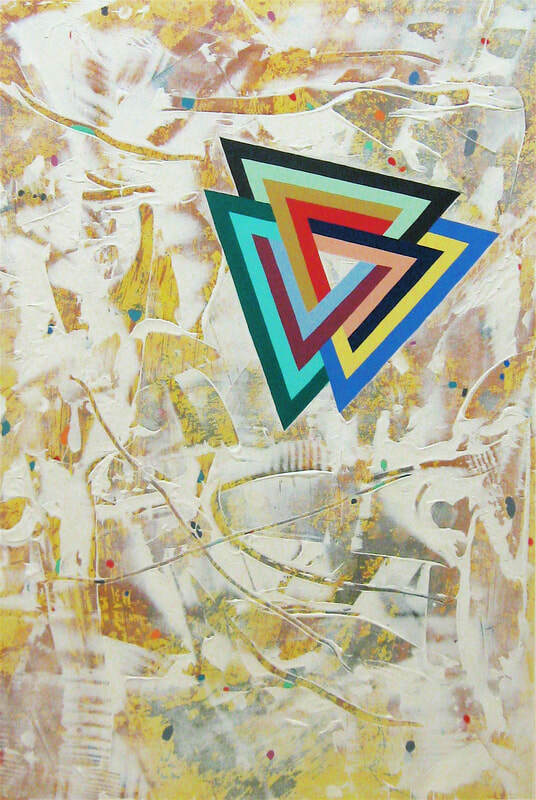 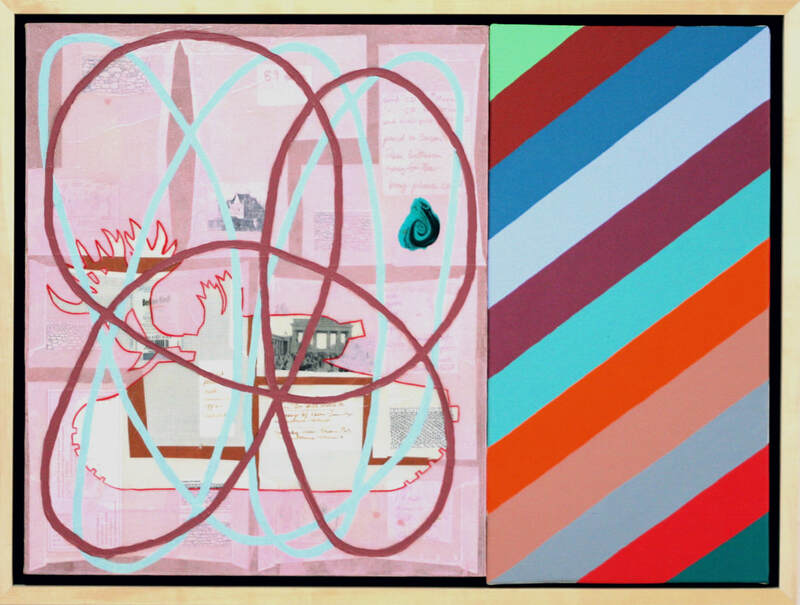 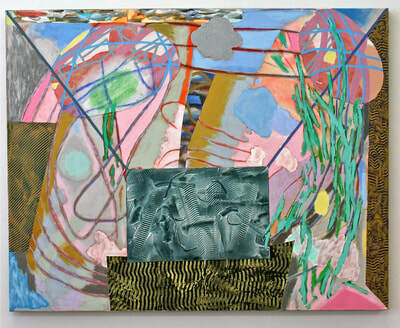 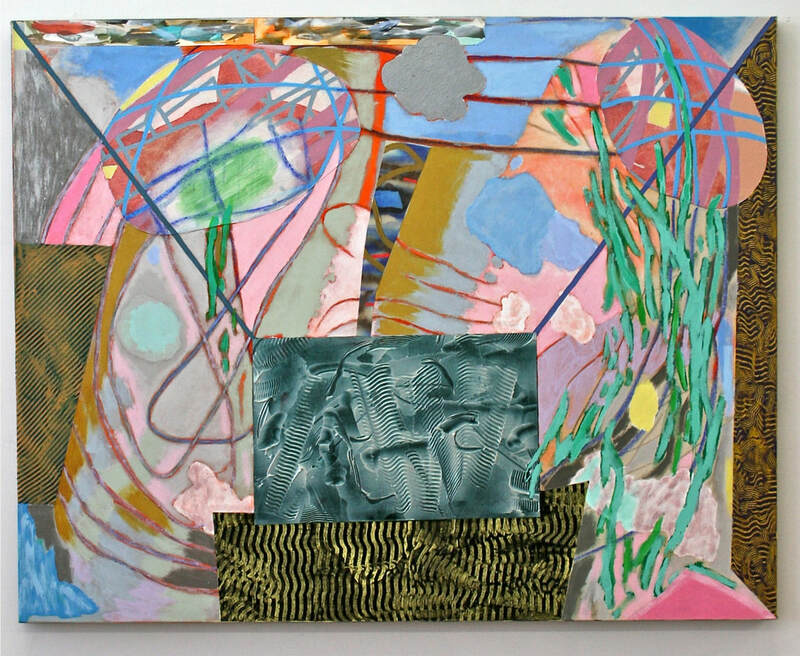 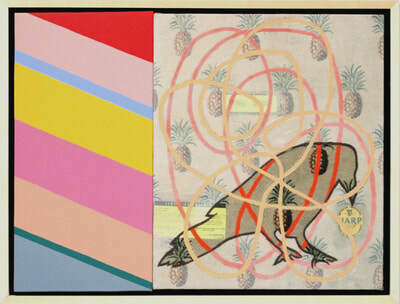 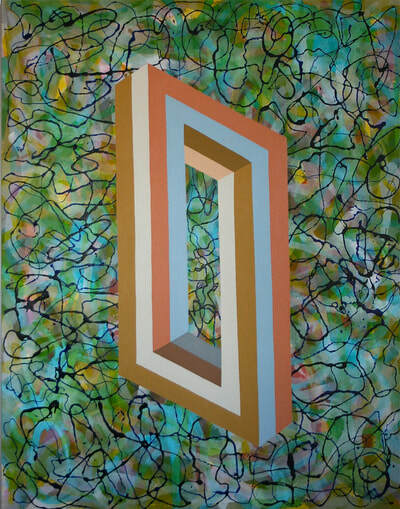 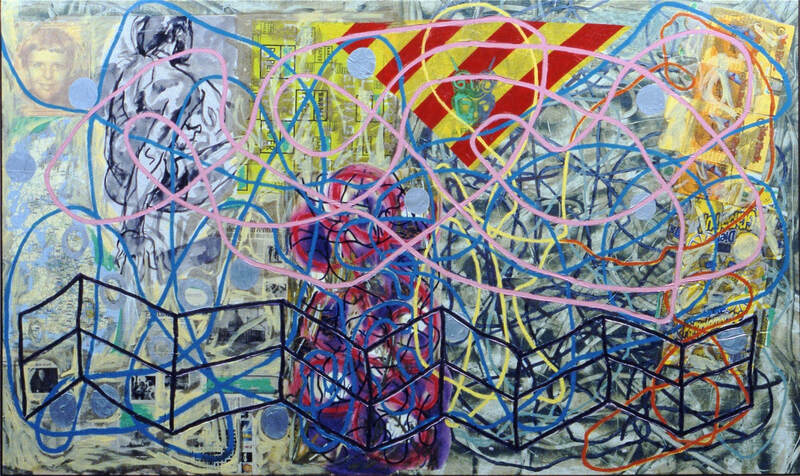 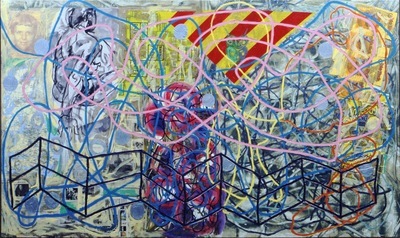 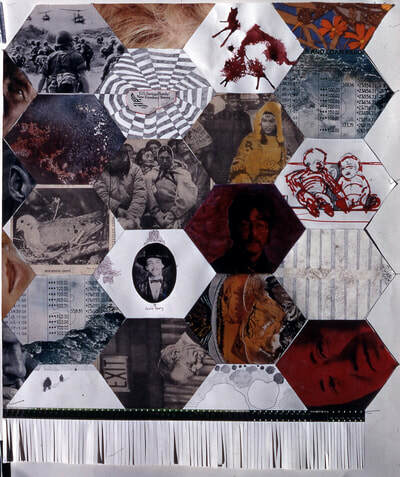 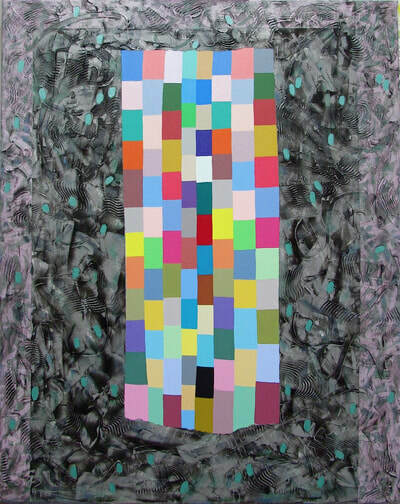 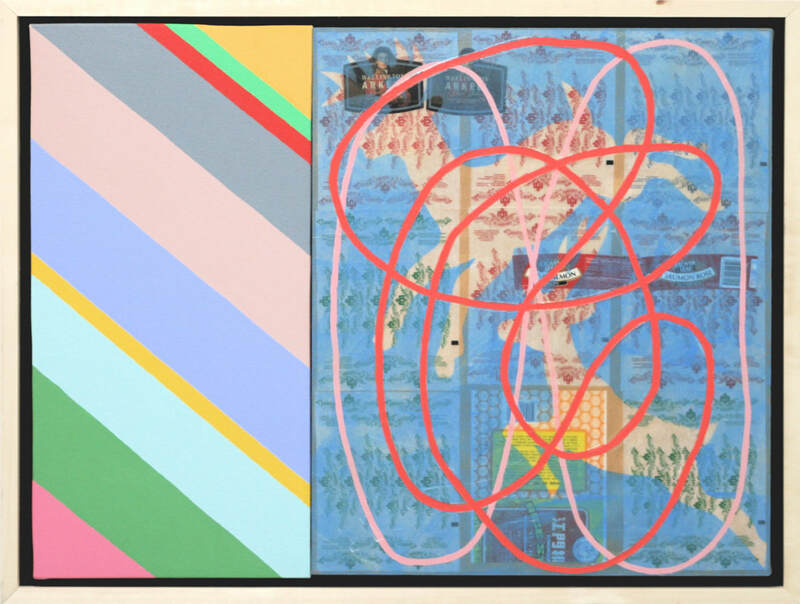 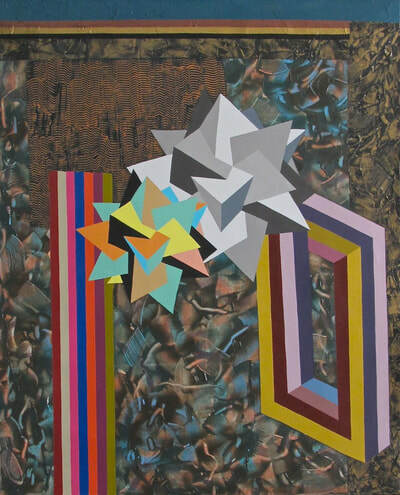 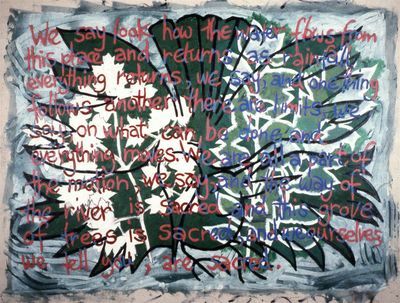 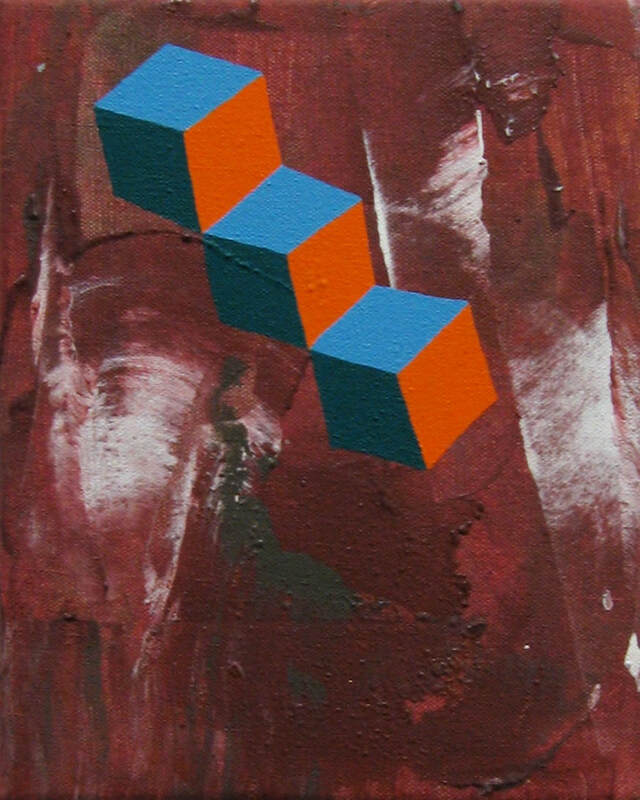 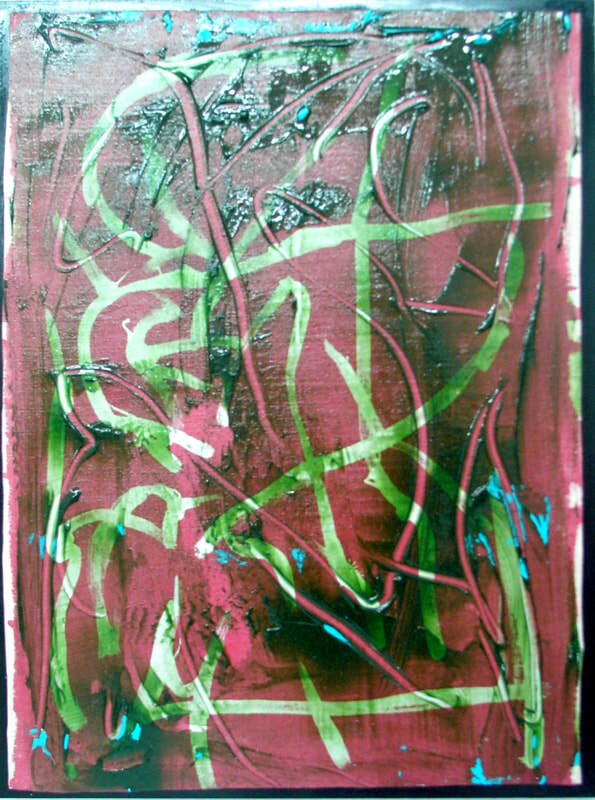 Exhibited at Grande Prairie art Gallery in 2004 ; at Definitely Superior Artists Run Centre, Thunder Bay, in 2007, as part of “Mapping – Synaesthetic Cartography” ; and at verb Gallery in Kingston in 2006, as part of “Triptych”. 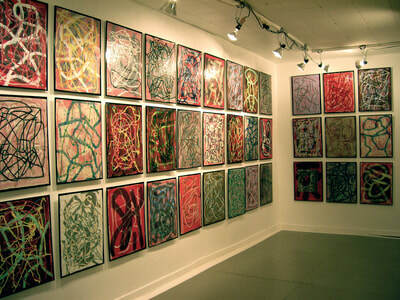 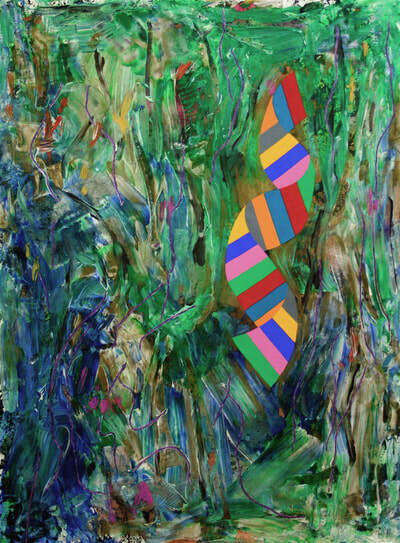 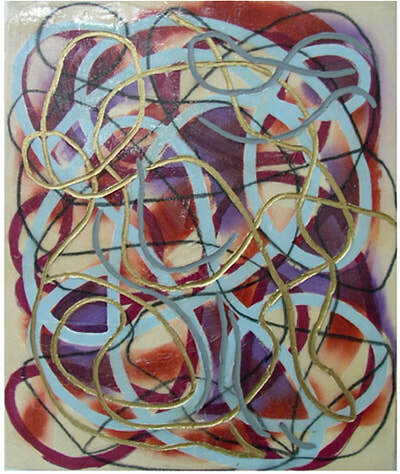 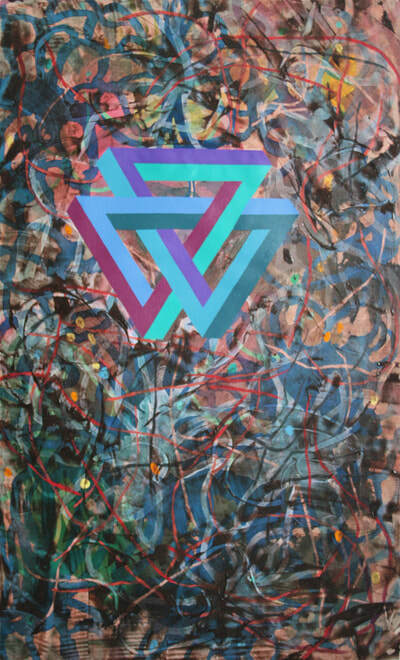 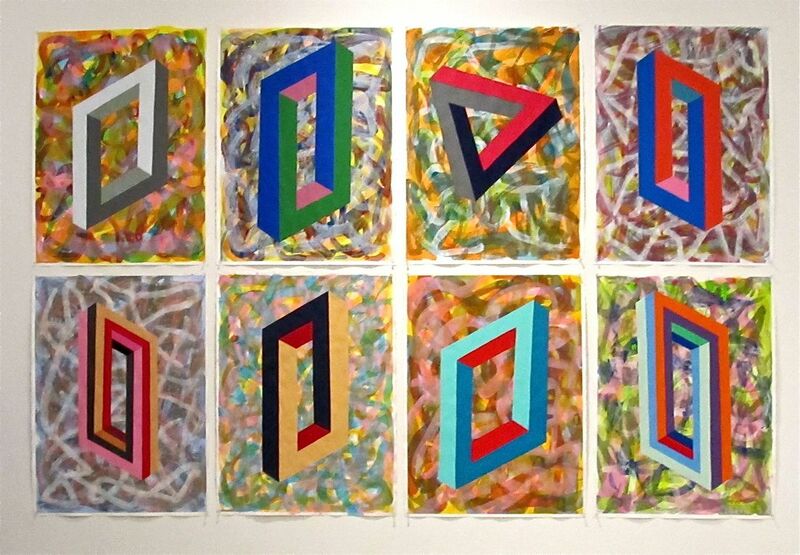 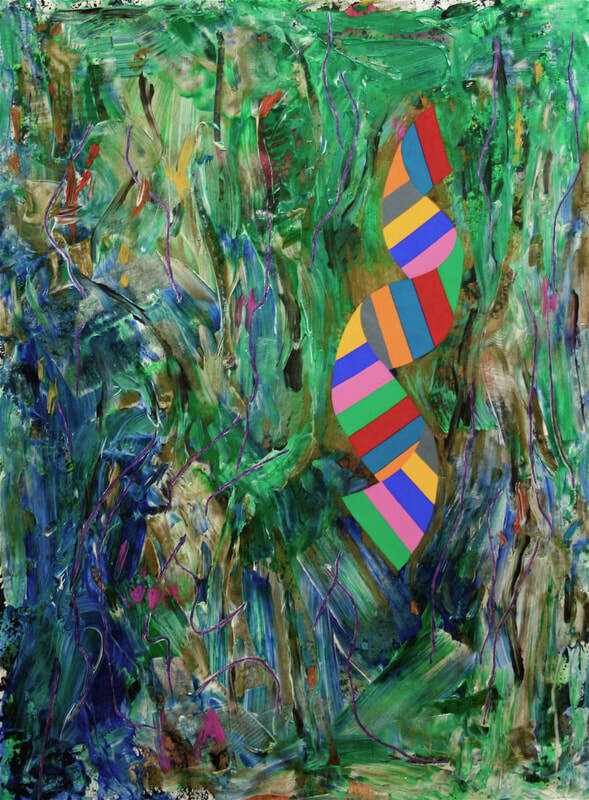 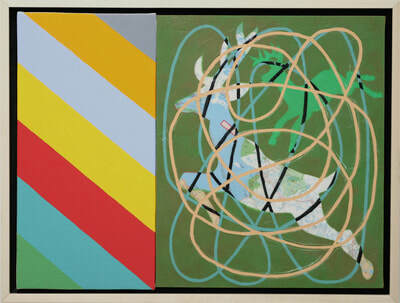 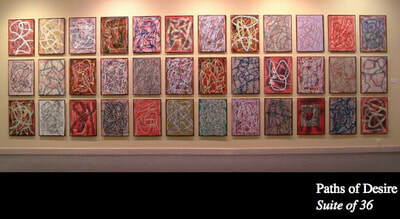 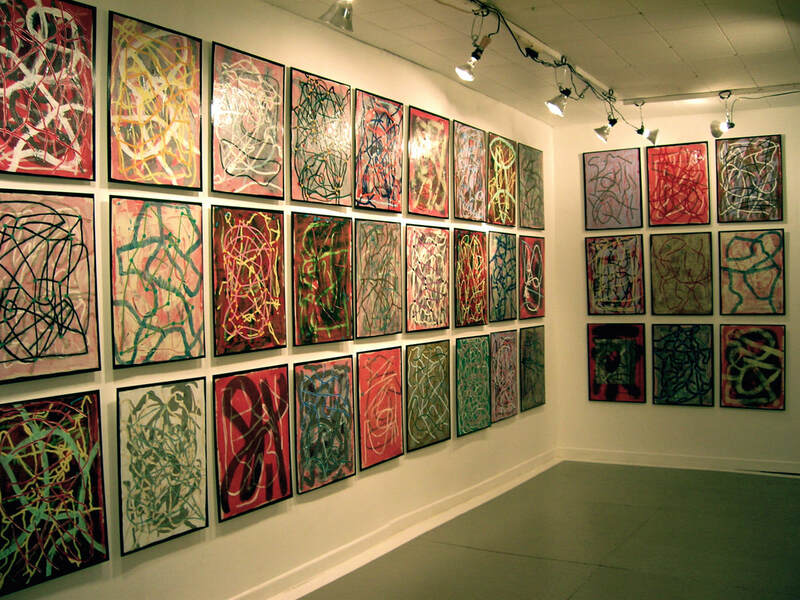 Paths of Desire is an installation of 36 paintings. 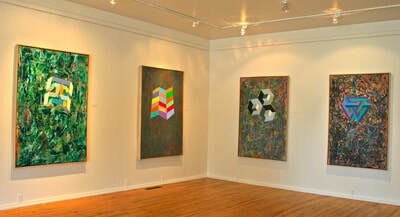 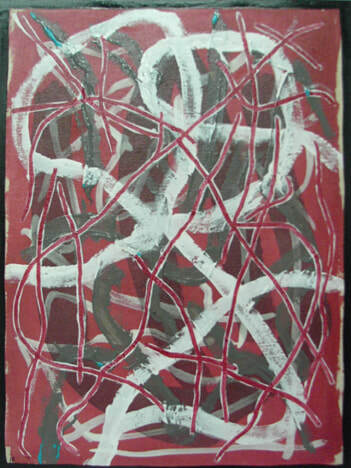 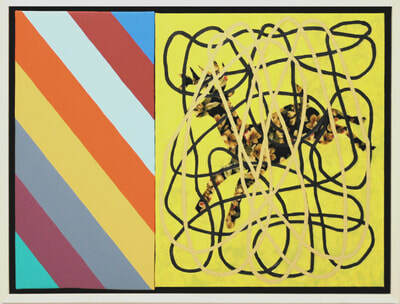 Each painting measures 25” x 19”, acrylic on canvas, mounted on board.